about 90 kilometres (56 mi) between the Teesta and Raidak rivers in Assam. The width of the Sivalik Hills varies from 10 to 50 km (6.2 to 31.1 mi), their average elevation is 1,500 to 2,000 m (4,900 to 6,600 ft). Other spelling variations used include Shivalik and Siwalik, originating from the Hindi and Nepali word shiwalik paiwat. Other names include Churia hills, Chure hills, and Margalla hills. Geologically, the Sivalik Hills belong to the tertiary deposits of the outer Himalayas. They are chiefly composed of sandstone and conglomerate rock formations, which are the solidified detritus of the great mountain range to their north, but often poorly consolidated. 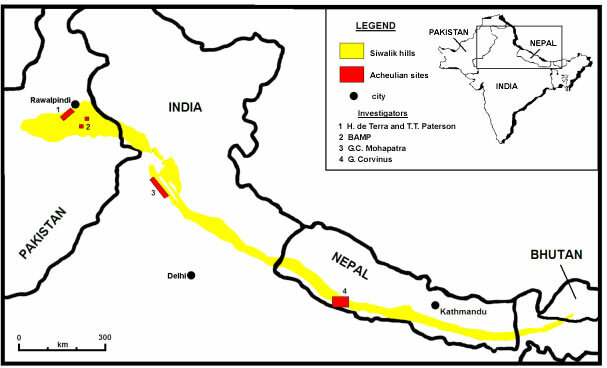 The remnant magnetization of siltstones and sandstones suggests a depositional age of 16-5.2 million years with Karnali River exposing the oldest part of the Sivalik Hills in Nepal. They are the southernmost and geologically youngest east-west mountain chain of the Himalayas. They have many sub-ranges and extend west from Arunachal Pradesh through Bhutan to West Bengal, and further westward through Nepal and Uttarakhand, continuing into Himachal Pradesh and Kashmir. The hills are cut through at wide intervals by numerous large rivers flowing south from the Himalayas. They are bounded on the south by a fault system called the Main Frontal Thrust, with steeper slopes on that side. Below this, the coarse alluvial Bhabar zone makes the transition to the nearly level plains. Rainfall, especially during the summer monsoon, percolates into the bhabar, then is forced to the surface by finer alluvial layers below it in a zone of springs and marshes along the northern edge of the Terai or plains. 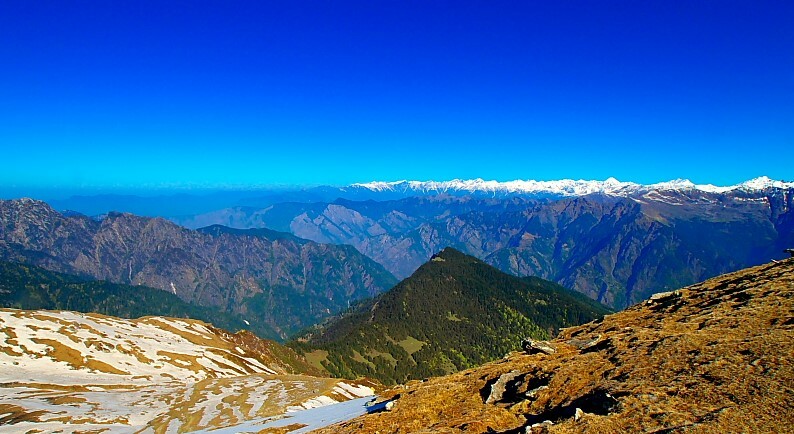 North of the Sivalik Hills the 1,500-3,000 meter Lesser Himalayas also known as the Mahabharat Range rise steeply along fault lines. In many places the two ranges are adjacent but in other places structural valleys 10-20 km wide separate them. The remains of the Lower Paleolithic (ca. 500,000 to 125,000 BP) Soanian culture have been found in the Siwalik region. Contemporary to the Acheulean, the Soanian culture is named after the Soan Valley in the Siwalik Hills of Pakistan. The bearers of this culture were Homo erectus. 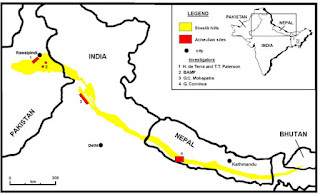 Low population densities in the Siwalik and along the steep southern slopes of the Mahabharat Range, plus virulent malaria in the damp forests on their fringes create a cultural, linguistic and political buffer zone between dense populations in the plains to the south and the "hills" beyond the Mahabharat escarpment, isolating the two populations from each other and enabling different evolutionary paths with respect to language, race and culture. People of the Lepcha tribe inhabit the Sikkim and Darjeeling areas. Name the highest peak of Shivalik range.